more information about your products and site than just a simple url. You can tweet whole cards that show, your site name, images of products, and even the prices. 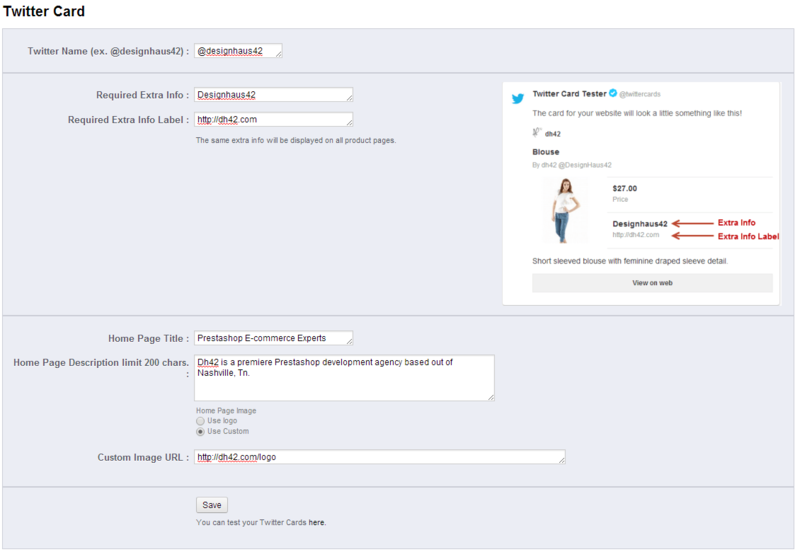 Now Prestashop has a free module that supports twitter cards, you should download it and get to tweeting today! The module displays the product price, image, your twitter account, and two lines of custom text on the products page. On the home page you can configure your sites title and description. Using this module will make your tweets stand out from your competitions and you will get more retweets and purchases. This module will let you install and verify Twitter cards for your PrestaShop website. It supports both normal pages and product page cards.